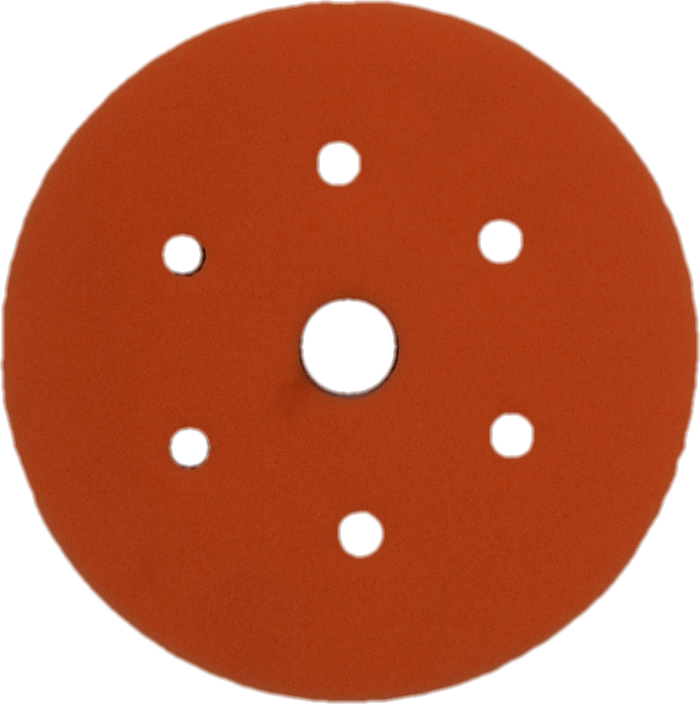 Americana - Orange Cutting Foam Pad 5"
EFC Pads, short for Exact Fit Compression Pads are an exclusive pad to Americana Global Inc. Manufactured here in the United States using German Prepolymer Foam. EFC Pads are designed for maximum durablity on long throw dual action machines. First look at the exact fit pad to the backing plate. 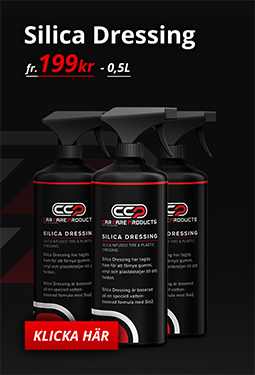 This will allow for equal compression as you apply pressure. Essentially allowing for alot more cut. The benefits of this are huge. It increases pad rotation because there is no lag from extra edging. The pad will last longer because of no edging of the backing plate into the foam and breaking it down. We could go on and on about exact fit pads, however lets look at the next part of the design. When you look at the holes, those holes serve several major benefits. First they will allow the pad to disperse heat allowing you to run the foam at cooler tempatures. Heat is a by product in polishing and not needed. When running a large throw Dual Action you will generate heat. 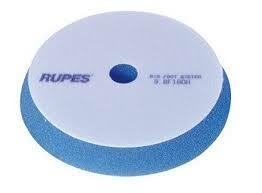 This heat is a pad killer and drys buffing liquids faster. However we envisioned a well lubricated polish like the IAT3000 to have a slightly longer work time. So these pads will assist in allowing the liguid to stay wet longer. 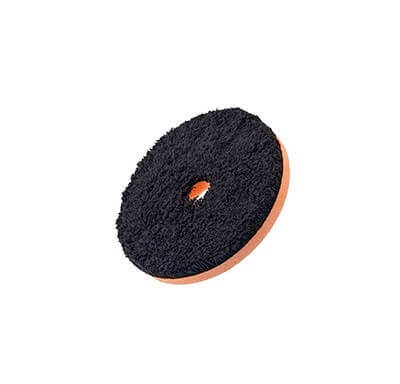 The holes will also help control product dusting and not allow the pads to get clogged as easy with clearcoat residue, abbrasives essentially making cleaning pads a lot less frequent. 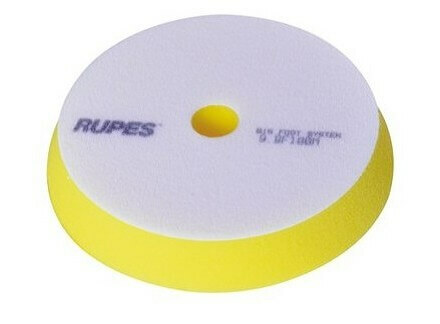 In theory sum it all up, your looking at faster pad rotation, controlled polishing, less heat, equal pad compression for more cut and longer durability. 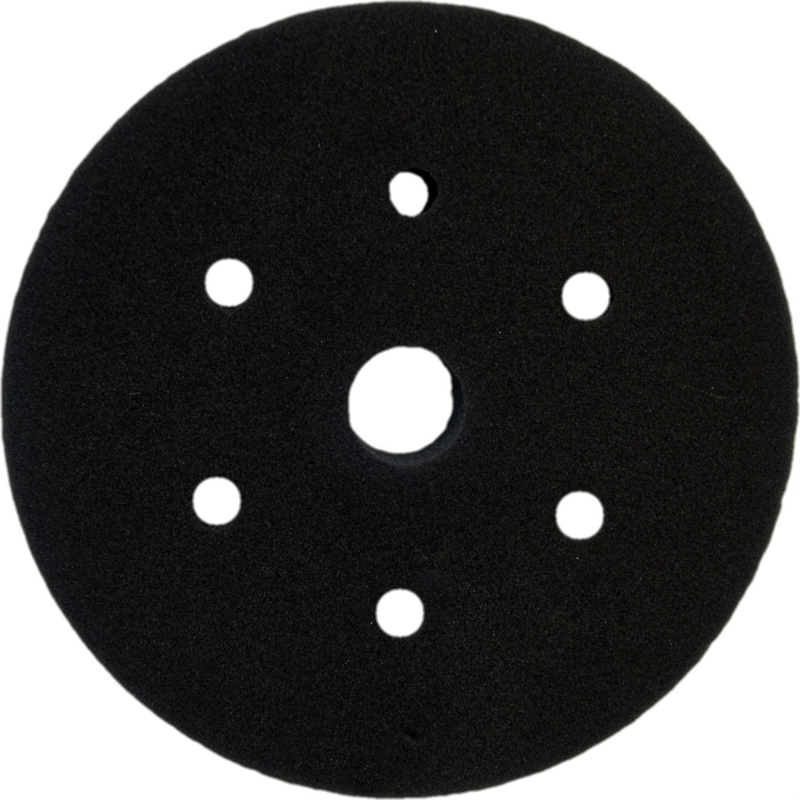 Americana - Black Finishing Pad 5"